I find the grittiness of this product quite okay. The smell is just like that of a raw strawberry fruit and to be honest, I don't like it. Maybe because I like products that smell sweet and girly. Price wise, this product is super cheap as I bought it on sale for $3SGD as mentioned above. The product has a thin consistency which means it would not hold together when dispensed on the palm of the hand. 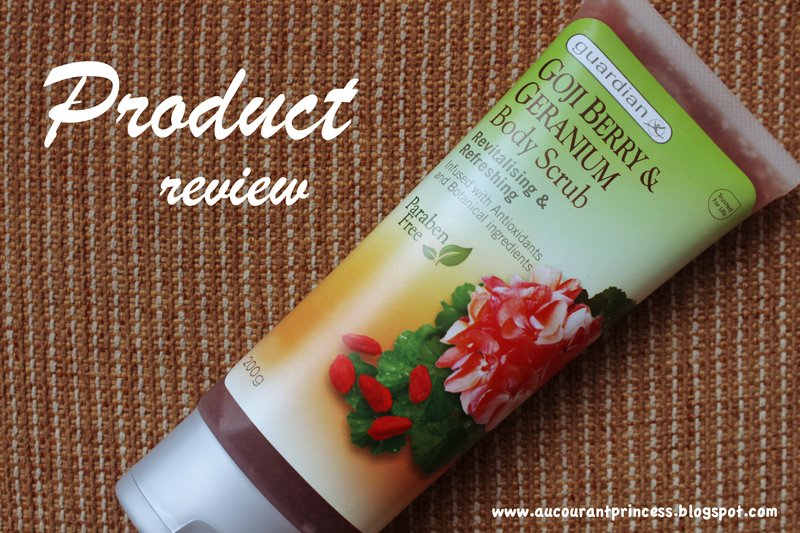 If you are into organic products then you would probably love Guardian's Goji Berry and Geranium Body Scrub as it is packaged paraben free. Overall, this product is just okay. Not, really a must try or a must buy. I'm still wanting the grittiness Soap and Glory Pulp Friction Body Scrub gave me. Would you give this product a go? Let me know your thoughts in the comment section below.